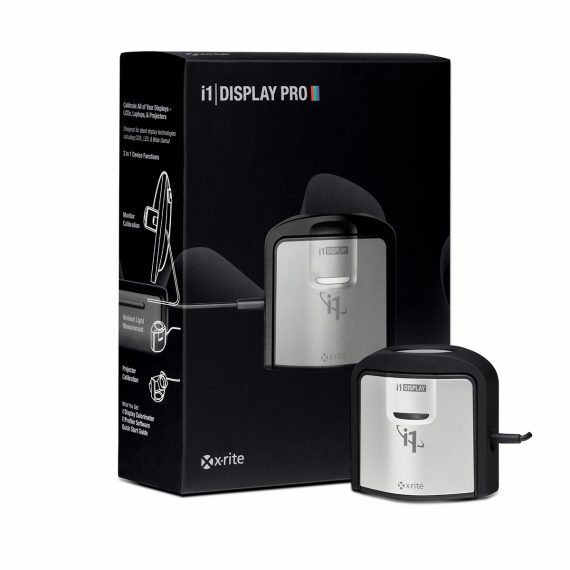 X-Rite i1 Display Pro | Beau Photo Supplies Inc. The i1Display Pro monitor calibrator incorporates technologically advanced filter and optical systems, amazingly fast measurement speed, and unrivaled color accuracy on all modern display technologies including LED, Plasma, RG Phosphor, OLED & Wide Gamut. It’s also spectrally calibrated, which makes it field upgradeable to support future display technologies, extending the life of your investment. The ultra-modern ergonomic design incorporates three functions – ambient light measurement, monitor profiling, and projector profiling – into a sleek, compact and fully integrated device with no parts to misplace.